Leo Packers Cargo Movers we endeavor to provide best types of transportation services while making use of the sophisticated carriers, canters, high speed vehicles and safety vehicles, which stores your goods safely and delivers them swiftly and on time. Moving to a new house or villa can be very difficult. Just the process of packing up your possessions in preparation for the move can be very stressful.. Packing and moving are the most hectic things one can come across and it is then when reliable movers are required. Car is your precious property, it deserves to be transferred delicately. We Provide Car Carriers of Hundai, Maruti, Tata Etc. 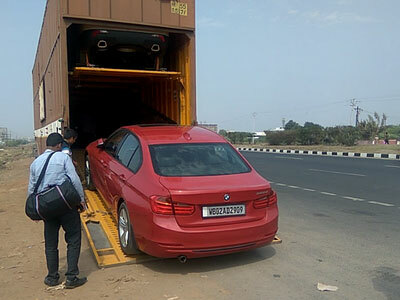 We are engaged in transporting cars by exceptionally covered car containers to all over India and inter states with door-to-door service. The wooden boxes manufactured by us are totally customized. While the best quality wood ensures reliability, these custom wooden boxes are best as they provide full Protection to goods during transit. Our company offers wide range of wooden boxes sturdy designs which give an exceptional strength. These Wooden Boxes are available in innumerable designs and various models. Our wooden boxes range speaks volumes of our outstanding quality and innovation. We are the leading wooden boxes manufacturer of India. Firstly strong and durable cartons should be collected in order to place your miscellaneous articles. Cartons should be collected depending on the type of material to be packed. While packing make sure that you keep scissors, tape, pen, labels etc handy, this will save your time and would ensure organized packing. Television, refrigerators, computer and other electronic items should be packed in their own cartons. All of these items must be carefully dismantled and their screws must be attached with them. Don't forget to label these items. LEO PACKERS CARGO MOVERS are committed to offer you a high quality relocation services. The procedures of packing and moving services Our senior supervisor or managers always supervise Packers and Movers Services that we offer to our valued clients. We have a team of highly experienced and professional staff who are committed to ensure safety and timely delivery of your goods. We believe in, Serve to Win and if we can make you happy with our services, we will surely win in business. We are a India wide Relocation Company offering more than a general relocation service; we also provide additional services to assist you with your moving requirements. Car is your precious property, it deserves to be transferred delicately. We Provide Car Carriers of Hundai, Maruti, Tata Etc. Leo Packers Cargo Movers Provide Warehousing Services. Need a space for storing your household or industrial goods. Whether you are moving out of your house or office, transferring to a foreign location can be very difficult for many reasons. I am really happy to have service with LEO PACKERS. The service they have provided step by step and very clear. As they promised they have delivered in time without any damage or loss. "I have pleasure to put on record that I am fully satisfied with the services provided by your team while shifting household goods. The quality of packing material was goods and more important the articles were packed in excellent way. Thanks for providing the excellent service."